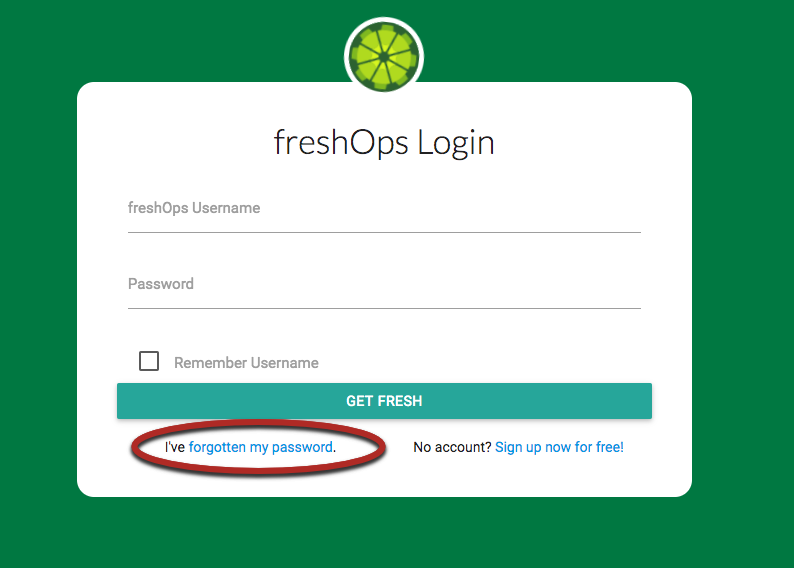 If you forget your password, you can reset by simply clicking the "I've forgotten my password" link below the Login Button on the freshOps Login Screen. You'll then be prompted to enter in your Username. We'll then send you an email that will provide a link to RESET your password, with your new password.